During our mother-daughter trip to NYC, my daughter and I had the pleasure of staying at the Kimberly Hotel for a couple of nights. We stayed in a one-bedroom suite, which was quite roomy. The furnishings were pretty standard, but the bedding was plush and extremely comfortable. 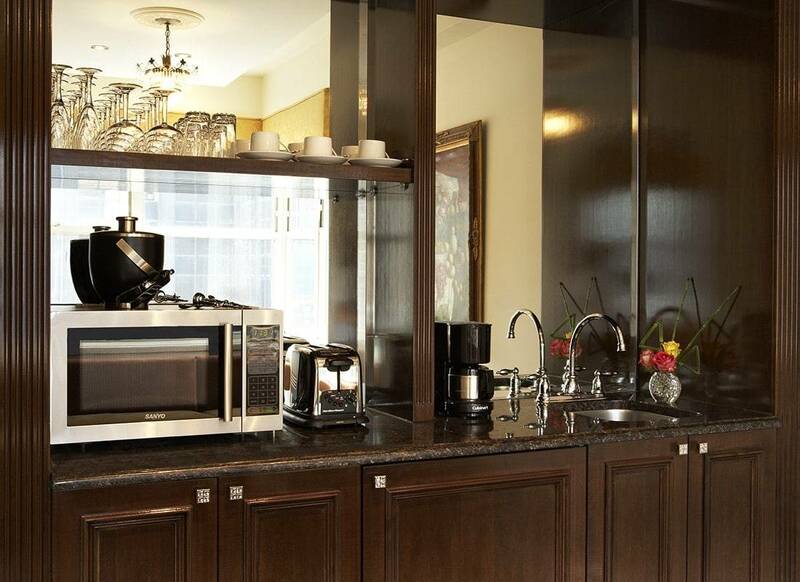 I was impressed with the small kitchenette complete with dishwasher that was available in our room. It was nice to be able to buy a few groceries and have breakfast in our room. 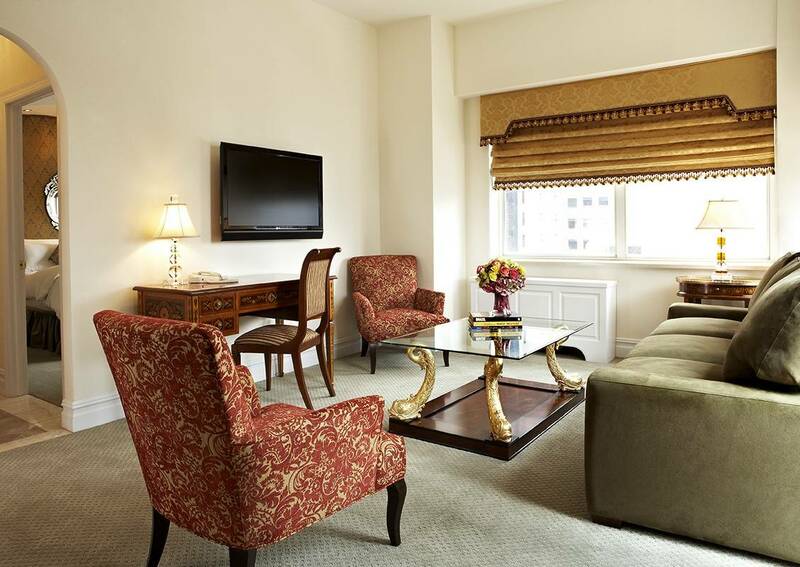 Situated in mid-Manhattan at Lexington and East 50th, the Kimberly Hotel is an ideal central location for many sightseeing and shopping excursions. Want to go shopping on 5th Avenue? Visit St. Patrick’s Cathedral? Maybe spend a day at the Museum of Modern Art, take a short taxi ride up to the MET, or stroll up ten blocks to Dylan’s Candy Bar and Serendipity 3? While staying in the New York City, location is everything. Taking in the sights, sounds, and smells of the city streets is as much a part of a New York vacation as taking a stroll through Central Park. And at the end of the day, having a big roomy suite to come home to is something to look forward to. If you take a trip to Manhattan and don’t walk all over the place, you’re not seeing as much of the city as you could. Or, you’re taking a taxi more than we did. Which has it’s benefits, and my sore knees probably would thanked me for it… but there is something about walking around the city that appeals to me. Since we stayed for two nights at the Kimberly, we saw a lot of sights, walked quite a distance, and came back at night to get a good night’s sleep and refresh. Day One: After we checked into the Kimberly on the first day, we strolled down 50th to 1st Avenue and then headed south, walking past the United Nations, which we hadn’t seen before. The United Nations actually does offer tours, but its best to go to their website to schedule tours in advance. After walking for a bit we ended up taking a taxi down to the Union Square and enjoyed browsing through the Strand bookstore and Forbidden Planet, a comic bookstore. Both of these stores were a hit with my 10-year old book and comic lover. Believe me, you could get lost in the Strand for hours. We took the subway back up to around 50th and strolled back over the the hotel to take a break and unload some books. Seriously, we didn’t want to lug those around the big city. After a very short break, we were off again. This time we walked up toward Central Park and along Central Park South. We caught a subway up to Lincoln Center so my daughter could visit the Lincoln Center Fountain, made famous to her by Glee, before heading 16 blocks south to Hell’s Kitchen. There we found a little grocery store and bought snacks and a can of soup for my daughter (she wasn’t feeling adventurous), before stopping to get some tasty Thai take-out for me. Eight o’clock at night and ready to drop, we took a cab ride from Hell’s Kitchen back to the hotel, passing Time’s Square, Rockefeller Center, and all things bright and glorious about the city at night. My daughter was hanging her head out the cab window as we passed through Time’s Square, eyes big as saucers and loving every minute of it. She got a kick out of some young ladies out for the night who pointed her out to their friends… check out the young girl in the cab with eyes big, bright and amazed at the hugeness of New York. It was a good way to end the day. Back at the hotel, we settled in on our comfy couch in the living room, watched a little television and heated up our food in the little kitchenette. It was nice to be in a spacious room and not have to worry about tripping over our suitcases. The coach was a sleeper sofa, which would be perfect for the next time we travel to New York with our whole family, instead of just a girls trip. Day Two: Very well rested, we woke up at the Kimberly to rain. But, it’s New York. Manhattan! Vacation! What’s a little rain on vacation? We headed out with one of Kimberly’s complimentary umbrellas for a little shopping. With stops to Build a Bear, American Girl, the Lego Store, Mismatched, and the NBC store, we were grateful to be just a few minutes walk from our room at the Kimberly so we could unload our shopping bags before heading back out. The rain cleared up in the afternoon and we walked up to Central Park for dinner at the Boathouse. After dinner, we took another taxi to around 60th Street and walked the rest of the way back to the hotel. Even after dark, the streets were well lit and there were so many people out that my daughter and I felt perfectly safe walking around the big city on our own. We had a final night of relaxing sleep and rounded off our stay with breakfast right down the street, followed by lunch at Serendipity 3, in between a final morning of strolling around the streets near the Kimberly Hotel. 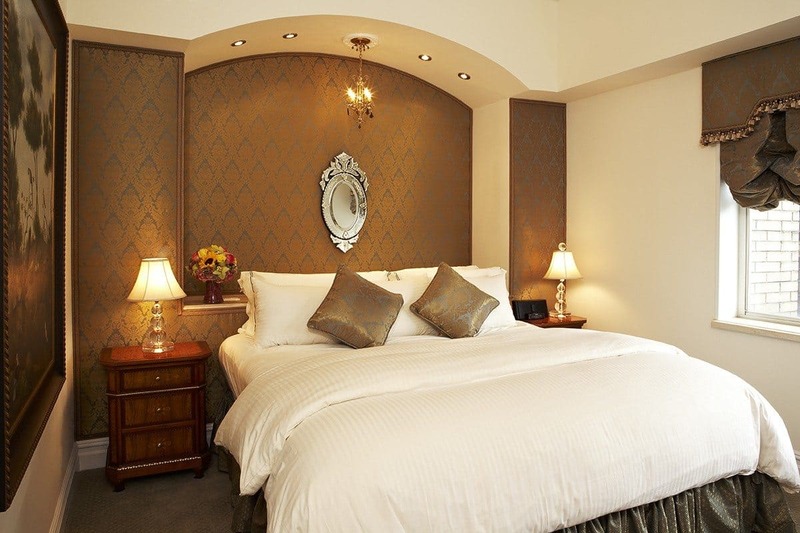 Overall, our stay at the Kimberly was very good. We were out and about most of the day, and the staff was courteous and attentive to us when we were at the hotel throughout our stay. The only negatives were the exterior facade construction that was going on at the Kimberly while we were there, and problems with one of the elevators. Because of this, their was a lot of construction noise during the day. We didn’t hear it at all after the first day, either because we were out while it was going on during the day, or because of construction stopping for the rain. The elevator was fixed by the second day we were there, and from that point on the wait for an elevator was quite reasonable. According to Kimberly Hotel staff, the facade construction is scheduled to be complete by October 2013. I’m looking forward to going back to see how the construction turned out, because the size and comfort of the rooms (as well as location to so many stores and attractions we enjoy) rank staying at the Kimberly high on my list of hotels to stay at while in NYC. « Heading Off to the Cabin- UP Michigan! this hotel sounds really ideal – I would love to stay in a place like that where I can walk and bring packages back and then go back out again. Sounds great thanks for sharing all the info! sounds like you had fun- as a NYer, I’m glad you walked to most places, a person can miss way too much in a car. We also visited NYC this summer and stayed at the New Yorker. It was a great old, historical hotel that is within walking distance to everything. I haven’t walked that much in such a long time…since our trip to Europe. There was always something to see and we had a great time too! That looks like a great hotel as well. Yes, NYC certainly gets you walking. I’d love to do the same thing in Europe sometime soon. Our kids are old enough to remember and enjoy it now. Thank you for the review! DD and I have done a day trip to NYC but she desperately wants to do an overnight. This hotel sounds like it would be perfect for us — the kitchenette would make life so much easier. I am sure you all would enjoy the location. How old is your daughter. Oh Julie! How wonderful you took a mother daughter trip to NYC! What a beautiful hotel room. I need to get back there sometime soon. Glad you had a nice trip! Sorry! I wrote Julie but meant Jessica! LOL! I knew what you meant. 😉 We had a great time on our trip and can’t wait to plan another mother-daughter adventure.